Cancer stem cells existence proven in humans | "Latest Stem Cells News"
The study was carried out in a group of patients with a blood disease which commonly develops into leukaemia, and can only technically prove the existence of cancer stem cells for this particular condition, but the scientists said that “similar” cancer stem cells were likely to lie behind the development of other cancers. Experts believe the theory of cancer stem cells may be of great importance for future treatments. 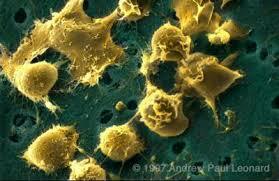 It suggests that at the root of any cancer are a set of cells responsible for its growth. In theory, if treatments could be developed to specifically target these cells, then a cancer could be eradicated altogether. The researchers emphasised that their findings did not offer any new treatment for MDS or leukaemia patients. However, Dr Woll said that it did give future researchers “a target” for development of more efficient “cancer stem cell-specific” therapies. 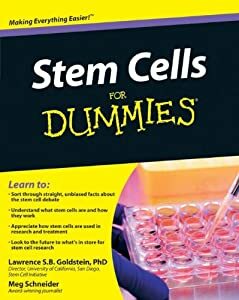 However, even if cancer stem cells were eliminated, Dr Woll added, there would still be a chance that genetic mutations could lead to other stem cells later becoming cancer stem cells. Professor Kamil Kranc, a Cancer Research UK stem cell expert based at the University of Edinburgh, said that the findings were a “a huge leap towards understanding the roots of blood cancers”.